Rio Tinto is committed to invest $3.4 million in the exploration of the Citadel project farm-in and joint venture (JV) with Antipa Minerals in Western Australia this year. Evolution Mining’s expansion of the Cowal gold operations in New South Wales has moved forward with the award of an underground development contract to Pybar. 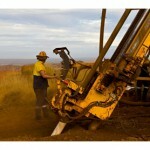 Exploration companies are searching for new methods to unlock the next wave of mineral deposits. A technology proving valuable in this pursuit is 3D seismic surveying. The Queensland Government has unlocked more land for exploration companies to identify the next generation of resources projects. OZ Minerals and Red Metal have formed a joint venture agreement aimed at fast tracking the search for greenfields discoveries at projects in Western Australia and Queensland. OZ Minerals has offered a $1 million reward for the geologists or data scientists who help find its next discovery near the Prominent Hill copper-gold mine in South Australia. Havilah Resources has reported the discovery of a significant iron ore deposit in the Grants Iron Ore Basin in South Australia. Mineral exploration is trending up, with a 3.6 per cent quarterly growth to $561.4 million in the September quarter according to the Australian Bureau of Statistics (ABS). Galena Mining plans to divest its non-core assets into a separate entity, Metal Range, which will be self-funding and operate independently. Queensland saw a 22 per cent boost in exploration spending for minerals and petroleum over the last 12 months, totalling $442.1 million. This is an $80 million climb compared to 2016–2017. Evolution Mining has entered into an earn-in joint venture agreement with Andromeda Metals over the latter’s Drummond exploration project in north Queensland. 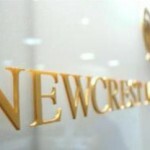 Newcrest Mining has extended its project generation alliance with Encounter Resources by 12 months. Base metals explorer Auroch Minerals has appointed DDH1 Drilling to undertake aggressive maiden drilling programs at the Arden and Bonaventura projects in South Australia. 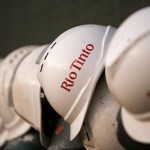 Rio Tinto has formalised a joint venture with Minmetals to explore for mineral deposits in China, and later globally. Rio Tinto will work with junior explorer Sipa Resources in Uganda, Africa to advance a nickel-copper project that has the potential to be globally significant. 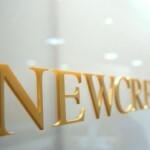 Newcrest Mining and Encounter Resources have formed a series of exploration joint ventures in Western Australia as a result of a project generation alliance established between the companies last year. Artemis Resources’ plan to launch an exploration program on the 47K Patch gold-bearing conglomerates in the Pilbara has been approved by the Western Australian mines department.